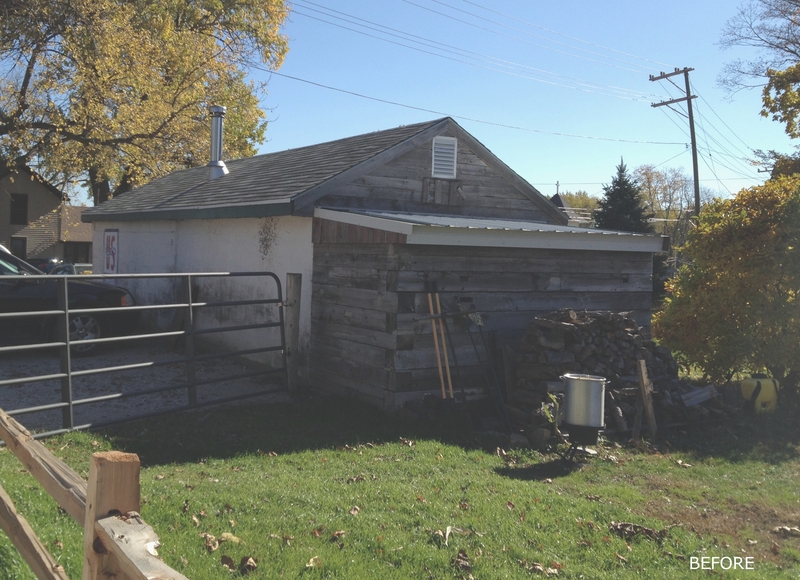 The Milk House is an adaptive reuse of a traditional farm outbuilding located in rural Pingree Grove, Illinois. 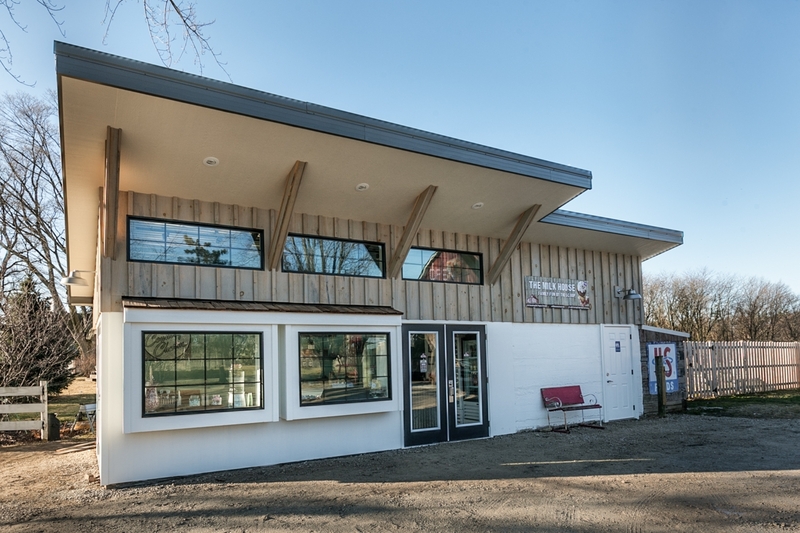 Originally used to store fresh milk, the project was to reuse the approximately 100 year old building as a premium, small batch, locally sourced, ice cream scoop shop. 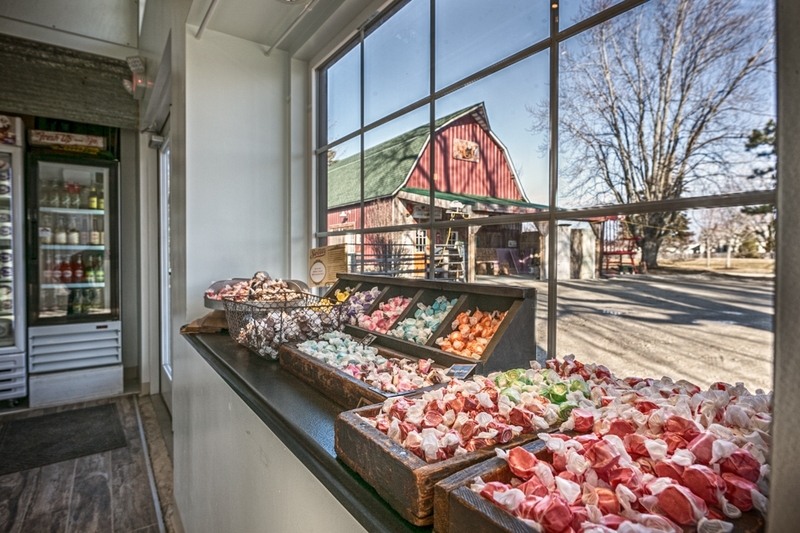 It is sited next to a barn that now houses a co-op store featuring locally sourced and organic farm to table food. The building was constructed out of an early version of CMU. This was laid on a concrete foundation of an inadequate depth for the frost line in the area. 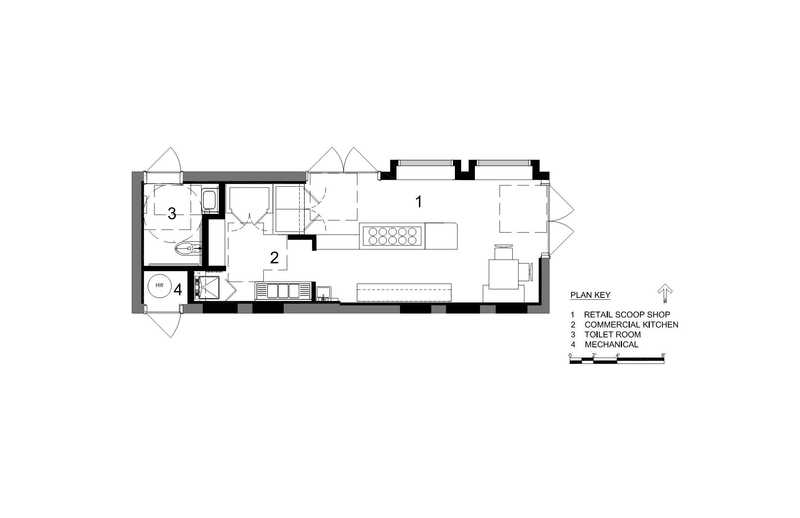 The interior floor to ceiling height was just over 7’. There was no plumbing, limited electric and heating was provided by a gas franklin stove. After mitigating the shallow foundation and repairing the cracked masonry, an insulated stud wall was added to the upper portion of the CMU wall. 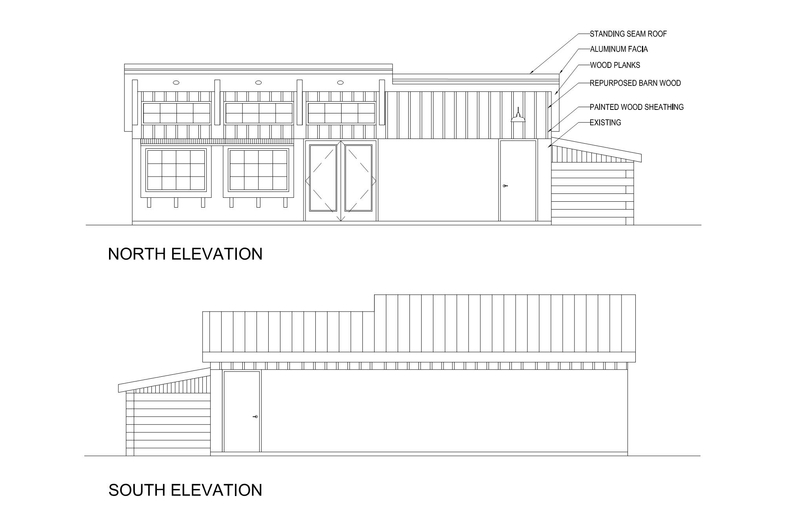 This added much needed head room and space for clerestory windows. 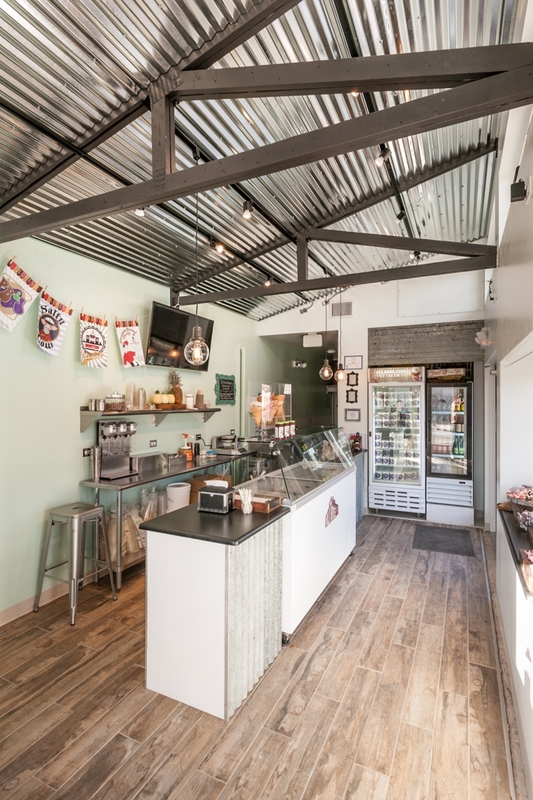 In addition, the interior space was built out per current energy codes and special attention was paid to heating and cooling such a limited space, as well ensuring the electrical system could handle all of the refrigeration equipment. Collaboration with the owner was key as he also acted as the contractor making use of historic building materials on site that were included in the project. Sustainable Features include, development of an existing site, adaptive reuse of existing building, repurposing of materials, and daylighting.